Kentucky Birth Injury Lawyers. Help and Guidance When You Need It Most. With over twenty years of experience handling birth injury lawsuits, Gray & White can carefully examine your unique situation and determine whether a lawsuit may be filed to seek compensation for your child’s injuries. In Kentucky, you must be able to prove that a doctor or hospital fell below a generally accepted standard of care when taking care of your child. Oftentimes, we find that mistakes were made not only during the labor and delivery process but also during the period after the delivery. Contact us by calling 888-450-4456 to speak with one of our experienced Kentucky birth injury lawyers. We can conduct a thorough investigation to determine if your child's birth injury was preventable, to get you the answers you need, and to help you make the best decisions possible during this difficult time. Your baby is at his most vulnerable when he is traveling through the birth canal. 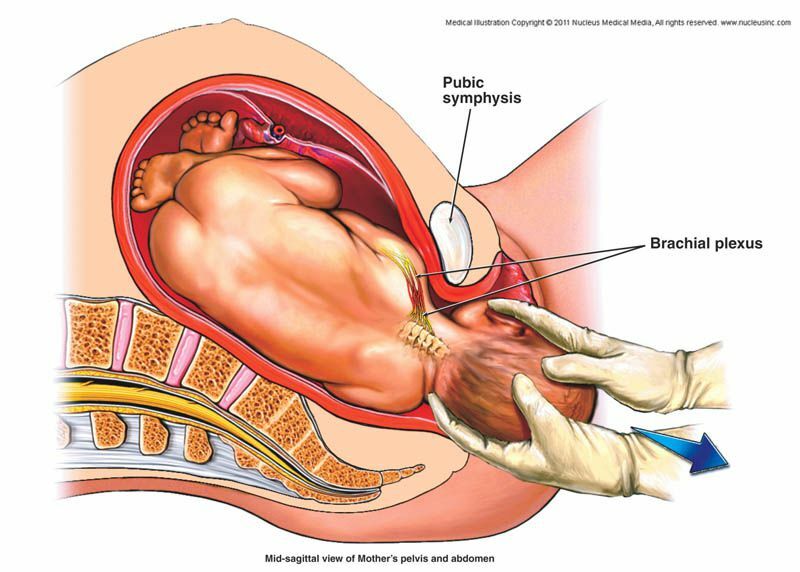 This is when many complications can arise, including asphyxiation from inadequate oxygen, umbilical cord entanglement, becoming caught on the pubic bone, or becoming poorly positioned—as in a breech delivery. All doctors should know how to handle these complications to protect you and your baby. Whether they need to employ tools, move you or the baby, or turn to a cesarean section, they need to act carefully and swiftly. When there is evidence of fetal distress, every second counts. A doctor’s failure to monitor mother and child during labor can cause a lack of oxygen that results in a child’s cerebral palsy, paralysis, brain damage, or other birth injury. These delays often cause the baby to go without necessary oxygen and suffer brain damage. Many times, these children are later diagnosed with cerebral palsy and other cognitive impairments. When a baby suffers a prolonged period of hypoxia, there is a risk of brain injury with each passing second. During the labor and delivery process, fetal heart monitoring allows nurses and physicians to monitor the unborn baby’s heart rate. This enables them to watch for signs of hypoxia. Careful attention must be paid to the fetal heart monitor to ensure that any hypoxia event is noticed and acted upon. When a hypoxia event is left uncorrected, brain damage as a result of hypoxic ischemic encephalopathy (HIE) may result. Situations such as an infection, tangled umbilical cord, or a damaged placenta may place the baby at a higher risk for an hypoxia event, so extra care must be taken in those situations. Sometimes, when a delivery is not going as planned, doctors may decide they need to assist in the delivery by pulling the baby out. One way to do this is with the use of forceps. These cases involve traumatic injuries as a result of the misuse of forceps during delivery. If too much force was applied to your baby’s fragile head, your child may be facing complications such as broken bones, skull fractures, eye injuries, brain injuries, facial paralysis, or nerve damage. While forceps can help facilitate the process of delivery and reduce the risk of a baby going without necessary oxygen, they can also be very dangerous if used improperly. Vacuum extractors are sometimes used by OB-GYNs to assist a mother who is having problems pushing the fetus from her birth canal. The vacuum is attached to the baby’s shoulder or head, and is used to gently guide him down the birth canal. If used improperly, the vacuum can result in catastrophic injuries to the newborn and the mother. The infant’s head is especially vulnerable to damage without the protection of amniotic fluid, so the improper use of a vacuum extractor can cause eye injuries, skull fractures, and brain damage. Pulling too fast or too hard is a typical error made when using a vacuum extractor. While sometimes useful, a vacuum extractor must be used with extreme caution. How Do You Know If Your Child Was Injured During Birth? If a questionable event occurred during the delivery, it is important to have your child monitored for latent injuries so any necessary therapy or medical care can be promptly started. If a birth injury is suspected, your child’s doctor may order an MRI to check for any signs of abnormalities. Your physician may also have your child examined by a neurologist or a therapist to check for any apparent physical or mental impairments. In some cases, the damages are immediately obvious. In other cases, they may take years to show-up. Brain damage can have an immediate and lifelong impact on your baby. The symptoms that your child will experience will depend on how badly the brain was damaged and what section of the brain was damaged. Common problems include gross motor delays, fine motor delays, speech and language difficulties, behavioral problems, cognitive problems, seizures, and other complications. Often, brain damage is caused by lack of oxygen during birth or by the use of forceps or a vacuum during the birthing process. Cerebral palsy affects a baby’s brain function and body movement and can be the result of an injury to the brain in the womb, during delivery, or after birth. It also can be caused by a lack of oxygen flow to a baby’s brain during delivery. Lack of adequate oxygen, also called asphyxia, can cause this condition. Currently, there is no cure for cerebral palsy. However, there are treatments available that can make things easier for people with cerebral palsy. These treatments can be costly, but invaluable. Learn how we can help if your child has been diagnosed with cerebral palsy. It can be terrifying to see your infant suffer a seizure. Seizures happen when the brain’s nerve cells are damaged and fire faster than normal. This can lead to your newborn experiencing involuntary movements or changes in consciousness or behavior. Your baby may suffer from seizures if he or she experiences a brain injury during labor or delivery. Often, this happens if the baby is deprived of oxygen because of a medical mistake made by the delivering doctor or medical team. Common examples of negligence that result in seizures include failure to diagnose or treat an infection in the mother, failure to take into account the size of a large baby during delivery, failure to provide proper prenatal care, failure to provide proper interventions during labor or delivery, and failure to respond properly to bleeding. During birth, your baby may have suffered a broken bone that has a significant impact not only on his immediate development, but also on his future. A common reason for broken bones during birth is because a doctor failed to anticipate that the baby may be too big to fit through the mother’s birth canal. In these cases a C-section could prevent a broken bone that leads to shoulder dystocia or another serious injury. One of the most terrifying emergencies following delivery is shoulder dystocia. Shoulder dystocia occurs when the head has been delivered, but the shoulder becomes stuck. It is diagnosed when the shoulders fail to deliver shortly after the fetal head, and it can be devastating. One of the most common causes of shoulder dystocia is the use of vacuum extraction or forceps during delivery. It can also occur if the mother has gestational diabetes or had children previously born with shoulder dystocia. There are serious complications associated with shoulder dystocia, and one of the biggest concerns is damage to the brachial plexus nerves. These nerves are involved in the sensory and motor functions of the shoulder, arm, and hands. If the nerve roots are torn from the neonatal spinal column, it could result in total dysfunction. Complications can follow for both the baby and the mother. The mother is at risk of postpartum hemorrhaging, uterine rupture, and a significant episiotomy or tear. The child is at risk of suffering Erb’s palsy, a clavicle fracture, hypoxia, brain damage, a humerus fracture, cerebral palsy, or even death. If any of the following occurs, the delivery doctor can cause temporary or permanent paralysis to your baby: improper use of forceps or vacuum extractor; excessive pulling force during a shoulder dystocia or breech delivery; improper Pitocin or epidural use; delayed delivery; or prolonged labor. If you notice that your baby has trouble moving, supporting his or her body, or lacks normal facial expressions, he or she may be suffering from paralysis of the face or body. Any of these birth injuries can require immediate and ongoing treatments; however, there may ultimately be no cure. Instead, you may focus on helping your child make the maximum medical improvement so he or she can gain as much independence as possible. After an initial stay in the NICU, your child might benefit from programs such as First Steps, Kids Center, special education, and other interventions. It can be hard to know if your child’s injury could have been prevented by the reasonable care of your doctors and nurses. However, if a medical professional such as a nurse or neurologist says that your child’s injury has been caused by medical negligence, or if a CT scan or MRI shows that your baby was deprived of oxygen during labor or delivery, then you should find out more about your child’s rights and how to protect them. You deserve to find out more about your next steps and about how to protect your child. We wrote the book, Family First: How to Get the Help You Need After a Birth Injury to Your Child Happens in Kentucky, and we provide every family with the individual attention they deserve. Our experienced lawyers live in your community, but have a statewide and nationwide reputation for excellence. To learn more, please contact the experienced birth injury Lawyers at Gray and White Law at 888-450-4456. We will discuss your case with you for free so that you can make an informed decision about what to do next. Gray & White has the resources and experience necessary to thoroughly analyze your case. Birth injury lawsuits are very complex, which makes it important to contact a law firm that knows how to investigate your medical records and has access to the necessary medical experts to help analyze your case. These are serious cases that demand a high level of skill and commitment. Through settlement negotiations or at trial, our lawyers and in-house nurse will fight for your child’s compensation so that he or she can get the necessary medical treatment and services, now and in the future. Our firm has been extremely successful in obtaining life-changing recoveries for our clients. If you believe your child may have been injured as a result of hospital or doctor negligence during delivery, contact us for a free consultation. We handle birth injury cases against hospitals and doctors throughout Kentucky and the United States.